Stylish, globally inspired plates shine at Entente, an intimate Lakeview restaurant. 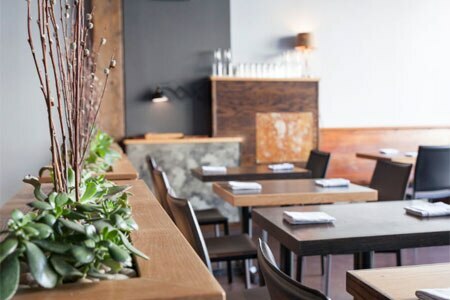 Intent on syncing with neighborhood and destination diners, the eatery makes a big impression with its well-edited menu driven by chef Brian Fisher (formerly of Schwa). Entente, 3056 N. Lincoln Ave., Chicago, IL 60657, 872-206-8553. Chef Dirk Flanigan has left his post at Ocean Cut. He was instrumental in the reconcepting of the River North seafood spot (formerly known as C Chicago). Ocean Cut, 20 W. Kinzie St., Chicago, IL 60654, 312-280-8882. 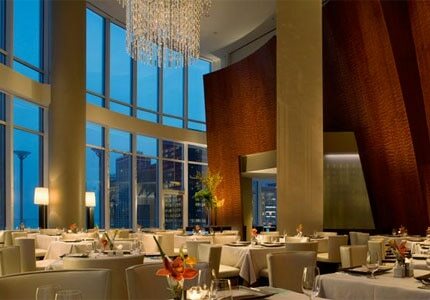 Chicagoland native Nick Dostal has taken over as executive chef of Sixteen at Trump International Hotel & Tower Chicago. Previously the restaurant’s chef de cuisine, Dostal also helped open Grace and worked as chef de partie at Ria. He draws upon influences of classical French, regional Italian and New American fare. His menu will launch in spring 2017. Sixteen, Trump International Hotel & Tower Chicago, 401 N. Wabash Ave., Chicago, IL 60611, 312-588-8030. Comfort food spot Buck's in Wicker Park has shuttered. Buck's, 1700 W. Division St., Chicago, IL 60622, no phone.